Remember when I confessed that I’m sleeping with my iPhone? Now, you can too. For free! 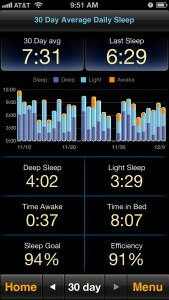 MotionX, the company that makes my favorite sleep app, has offered you, my readers, a promotional code to download the app for free. It’s totally worth the regular $2.99 price, but free makes the decision to give it a try, simple. Simply visit this Sleep by MotionX page, enter your email address and they’ll send you a code to redeem on iTunes. This remains the most used app on my phone. 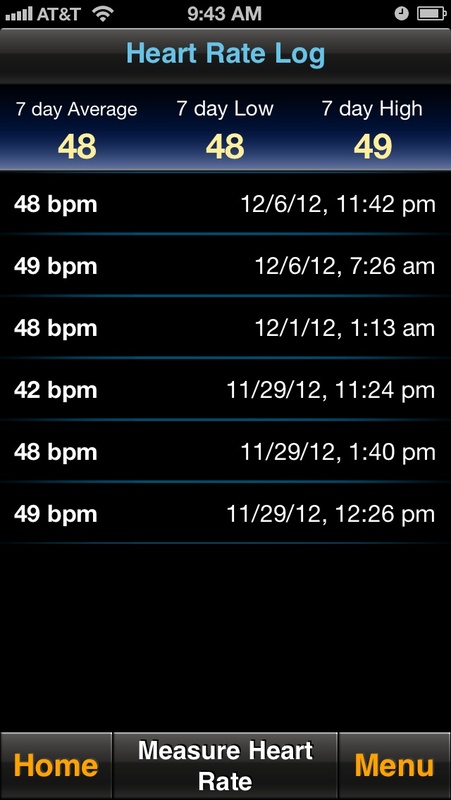 I use it every night to monitor my sleep, every day to monitor my activity, and now, there’s a new feature that lets me monitor my resting heart rate. 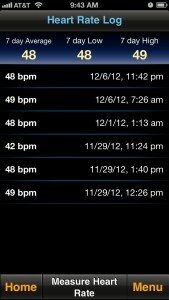 I love knowing my heart rate without having to do any math (or count for a full minute!). After four months I have a much clearer picture about my sleep habits and what I’d like to support and what I’d like to change. I can see how well I’m doing with my goal of 8 solid hours of sleep a night. I can see just how inconsistent my sleeping patterns can be. I also blasted a few myths I’d been perpetuating with myself. 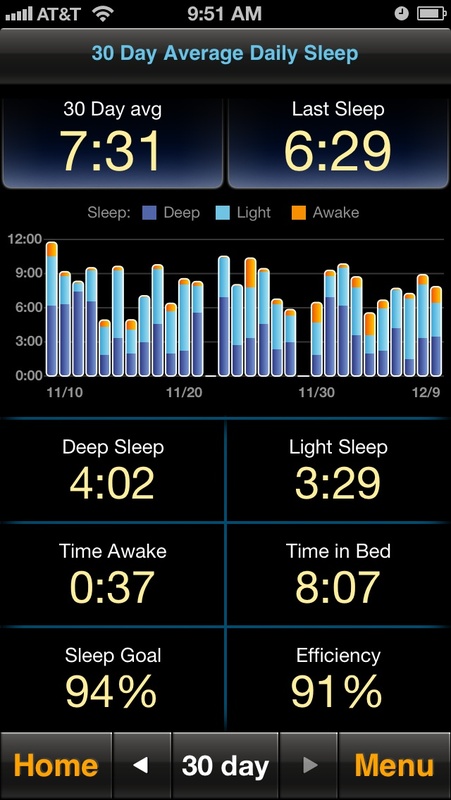 If nothing else, it’s fun to see what your sleep and activity really looks like. 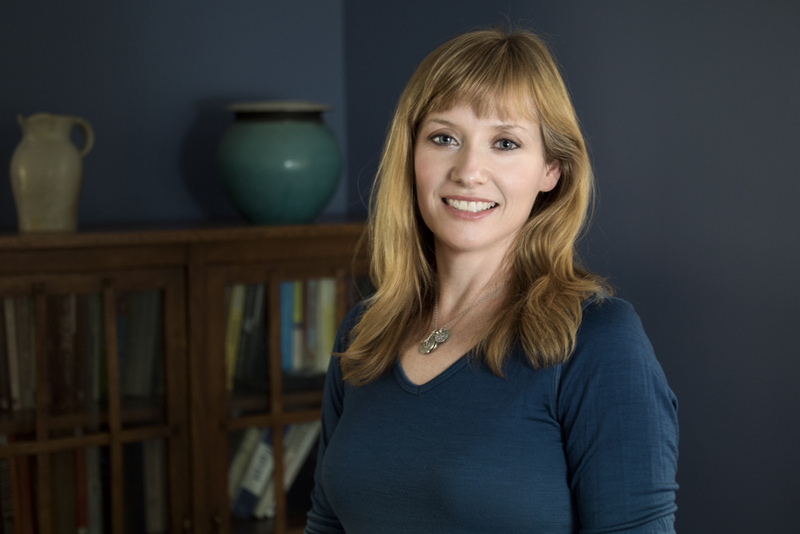 Thanks, Shannon! Can’t wait to give it a try! I am possibly on the brink of getting an iPhone, so I’m going to check this out. Thanks!